During a local correction, Euro rebounded from the level of 61.8%, which may be a signal for a new descending movement. The targets remain the same. The pair may break the minimums in the beginning of the next week. The price rebounded from the level of 61.8%, but it’s not enough for the bears to start a new descending movement. If they are able to keep the price below the level of 38.2%, the pair will continue falling down. According to the analysis of the temporary fibo-zones, predicted levels may be reached by the end of the next week. The bulls are trying to rebound from the level of 50% from the previous ascending movement. 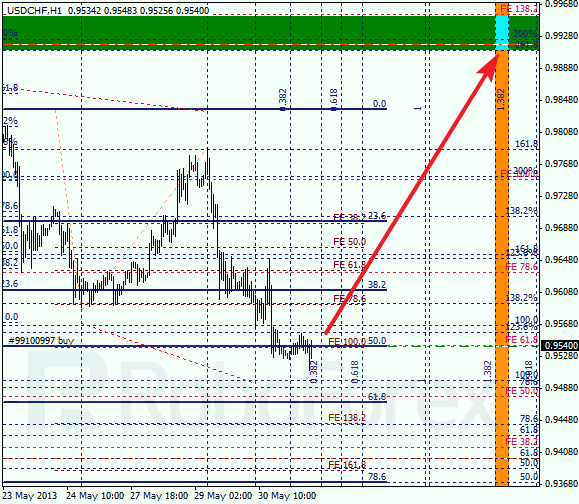 The main target for the next several days is at the level of 0.9900. I’ve opened only one buy order so far, but plan to add several more as the pair moves upwards. 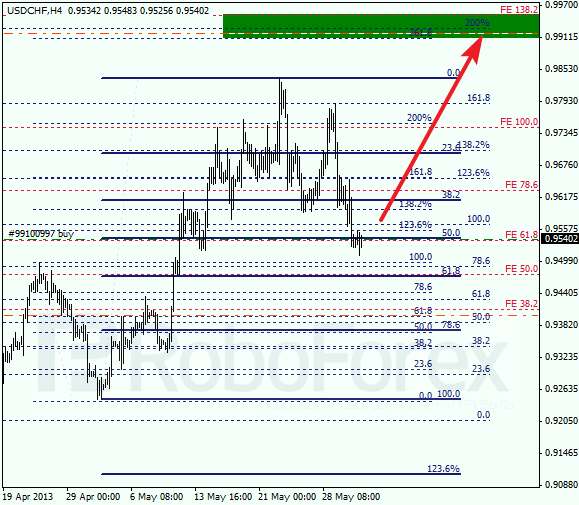 As we can see at the H1 chart, the pair failed to break the level of 50%, which makes this level even more important. According to the analysis of the temporary fibo-zones, target levels may be reached by next Thursday. If Franc rebounds from the target area, the market may start a deeper correction.